Whiplash and the chronic pain it causes is challenging to prove in an auto accident trial. Insurance carriers often claim whiplash claims are fake when in fact, they can cause debilitating pain in the neck, base of skull, shoulders and back. Studies have shown at least 30% of whiplash sufferers experience pain related to the injury a year or more after the incident. Many other symptoms also accompany those of whiplash such as dizziness, lethargy, concentration issues, sleep issues, compromised memory, and blurry eyesight. Whiplash most often occurs in one of two ways. If a vehicle is hit from behind with enough force the occupants head will violently jerk forward and back causing whiplash. Another way is if a vehicle forcefully hits a stationary object causing fervent movements in the neck and head. Whiplash is especially detrimental because the symptoms often do not materialize immediately after the accident. This also lends itself to be questioned by insurance lawyers who try to prove the injury came from a later incident or the victim created it to gain money. Many object preliminary scans after an accident cannot discern the presence of whiplash. Deep tissue injuries make muscles sore for months but when those heal and pain still remains it reveals a sign of a deeper malady like whiplash. 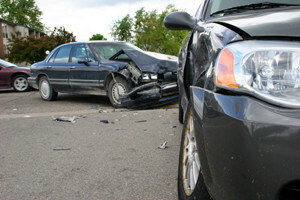 An expert auto accident lawyer can assure the proper test are done to provide the necessary proof of injury. To prove whiplash claims in an automobile crash trial takes an experienced and reliable lawyer. Investigations, test, interviews and documentation must be provided for the court. Moseley Collins has years of experience in car accident law and can help you in this stressful time. Call our office for a brief consultation on your problems and we will explain how we can help. If you or a loved one have been injured in an auto accident, you will need a lawyer with experience. Call Moseley Collins at (916) 444-4444 for a free consultation.